It’s often been difficult for me to just write for the sake of writing. I’ve always thought I needed some larger purpose, like turning images from my morning walks into poems. Or scenarios that pop into my head while observing other people becoming short stories. I’m embarrassed to admit that it’s only recently that I’ve come to understand that all this writing is valuable, whether it eventually turns into something larger or not. These thoughts were validated recently thanks to several posts from Kate Messner’s Teachers Write! Summer Camp. Last week, Kate shared her secret that “Not everything you write has to grow up to be something else.” (Read the whole post here.) Today, guest author Amy Ludwig VanDerwater strikes a similar note in her post Hummingbirds on a Wednesday. Her point is to step away and let your mind wander. Trust it to find what you’re looking for. Both of these ideas have implications for the classroom. Students need to have time to write about their thoughts and ideas, not necessarily to turn them into a published piece, but to practice composing, organizing and clarifying their thinking. As teachers, we must ensure that our students are given this time. Jan Burkins & Kim Yaris have devoted several excellent posts to this very topic on their blog recently. They conclude that the CCSS does provide room for this time for in Anchor standards 4 and 10. Unfortunately, as they point out, these standards aren’t expectations until third or fourth grade. I agree whole-heartedly with their conclusion that this is a mistake, and that students in K-2 are completely capable of meeting this standards. 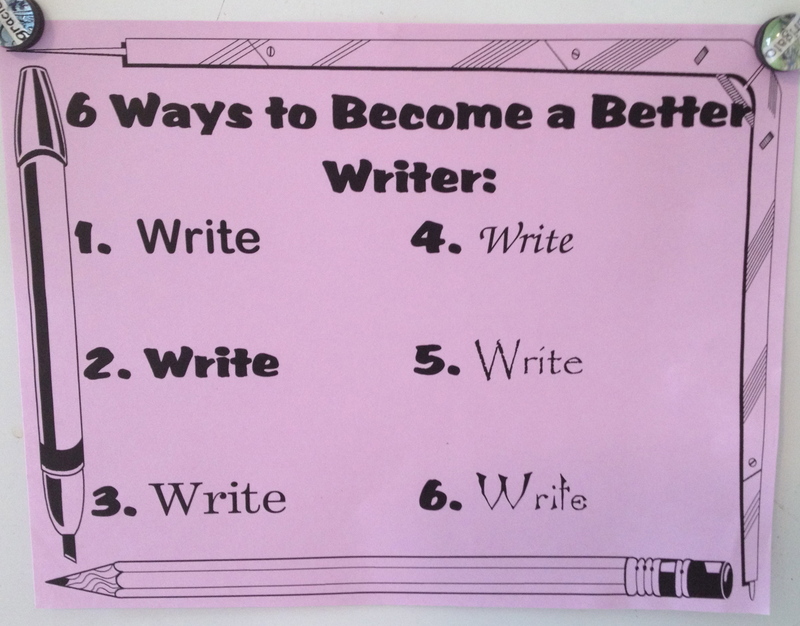 Indeed, if we don’t give our youngest students time to develop as writers, it will be that much more difficult to develop these habits when they’re 8 or 9 years old. However, it wasn’t until I actually started writing on a regular basis that I understood the truth in this. A truth that Leo Leoni’s Frederick (Knopf, 1967) captures perfectly. 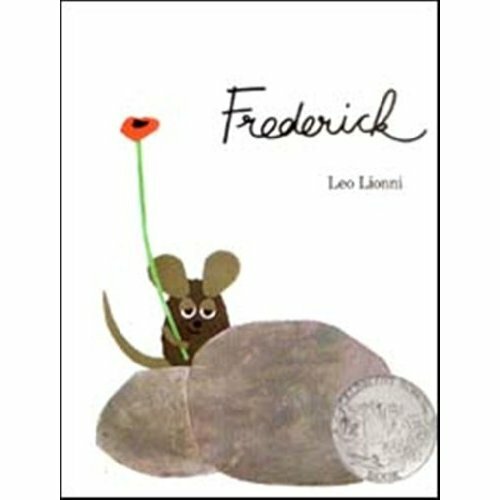 The other mice scoff at Frederick when he tells them that he is working when he gathers “sun rays for the cold dark winter days” and as he gathers colors, “for winter is gray.” But it is Frederick’s words, his poem of the “Four little field mice who live in the sky. Four little field mice…like you and I,” that save the mice from their bleak and gloomy winter. Go and gather images and colors and words. Give your students, not matter how young or old, time to write their thoughts, their hopes, their dreams. We’ll all be richer for it. Burkins & Yaris, Teachers Write! Thank you for the reminder that everything we write doesn’t have to grow up to be something bigger. I know that I struggle with that, too! As Jan and I have worked on our blog since April, I have learned so much about the importance practicing and I have also realized that I wouldn’t want everything I write to reach the masses!!! I enjoyed reading your blog post today and am in total agreement with you. Happy to have found a new blog today via Kate Messner’s Teachers Write. Still struggling to get in a more consistent writing groove as I truly believe it is important for teachers to write. Looking forward to reading more here. Thank you! P.S. Loved the unexpected connection to delightful Frederick! Thanks so much for your comment! It’s definitely a challenge to make time each day for writing, but, as so many much wiser people have pointed out, it’s the only way to improve. I agree with your thinking in your post here! Also, thanks for sharing Fredrick-I never thought of using this story in this way.